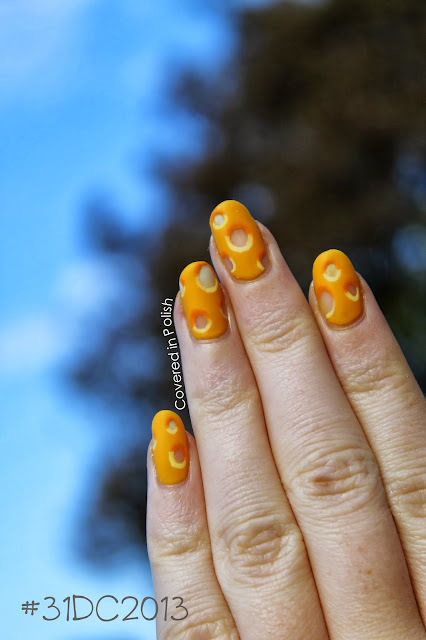 I'm excited to show you today's post! 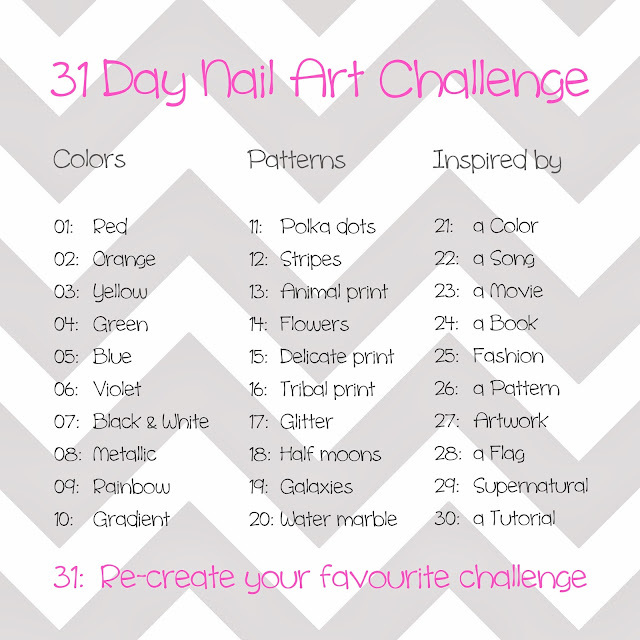 Todays challenge is Yellow and I did some 'cheesy' nails. 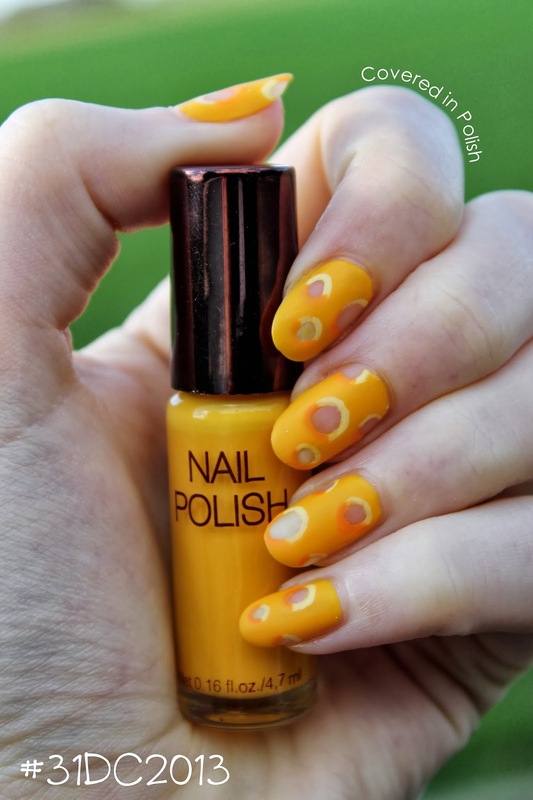 My boyfriend showed me this video tutorial from ChristabellNails and I knew for sure that this would be my Yellow challenge. Her video's are so clear and the manicure was relatively easy to recreate. 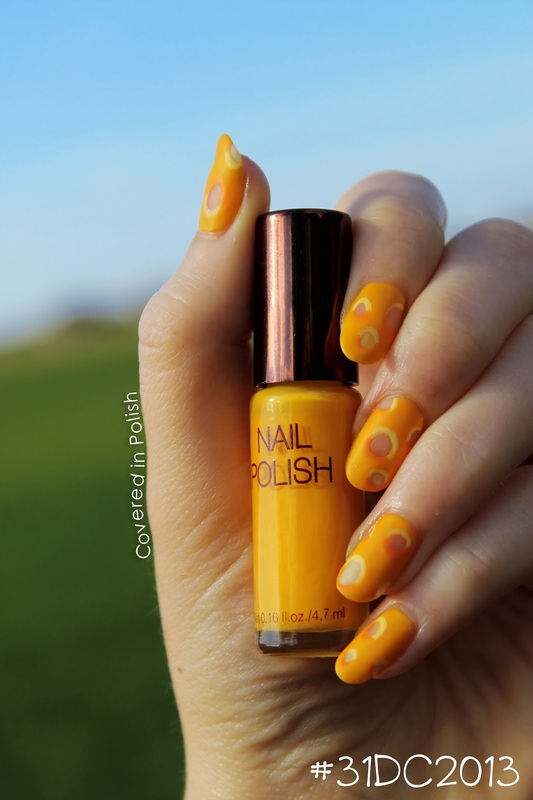 For this manicure I used H&M Yellow as the base colour. The lighter yellow is Essence Destination Sunshine and for the darker yellow I mixed my base colour with a tiny bit of H&M Chica Boom Boom (yesterdays manicure). Just like ChristabellNails did, I painted a layer of matte topcoat on top to give this a more realistic look. 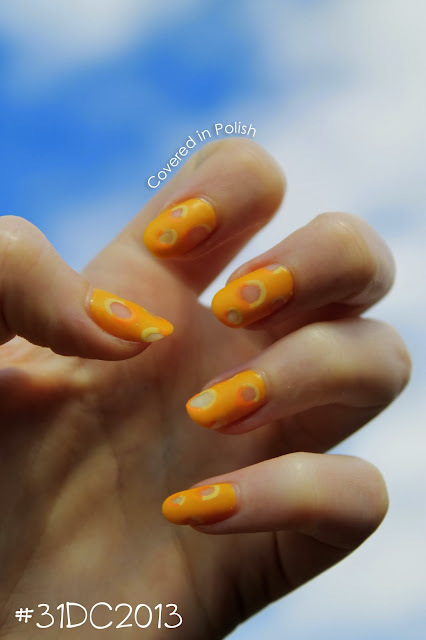 I figured these cheesy nails are still in yesterdays 'Dutch' theme, haha! 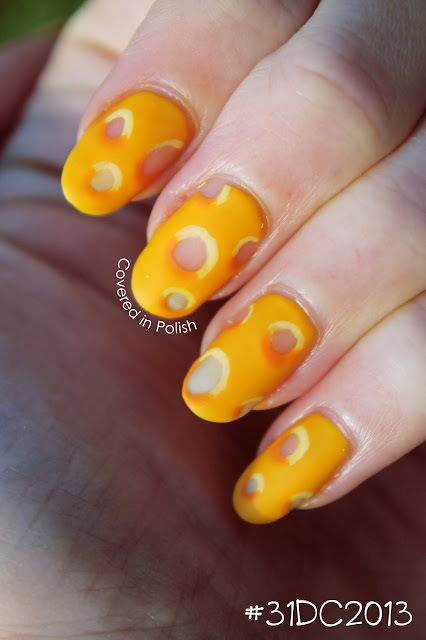 Because cheese is a typical Dutch food.